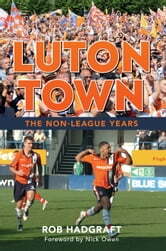 LUTON TOWN, a top-flight club throughout the 1980s and early 1990s, suffered a catastrophic slide out of the Football League, helped on their way by stringent and controversial penalties imposed by the football authorities. After eighty-nine years among the elite, this well supported club found itself, in 2009, competing alongside part-timers in non-League circles. It was the start of five years of hell for the Hatters and their huge, loyal fanbase. Despite being a massive fish in a tiny pool, their passage back to the League took longer and was more painful than anyone ever expected. 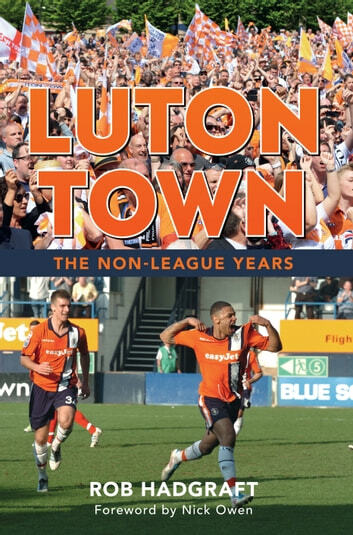 Life-long supporter and author Rob Hadgraft relives the remarkable ups and downs in this month-by-month tale of Luton Town’s journey from the edge of the abyss back to the promised land.